How much is a normal deposit for roof work in Sydney? In Sydney, NSW Fair Trading sets the upper limits on how much a roofing contractor can charge as an upfront deposit for roofing work. 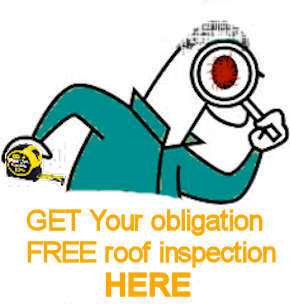 Why a 10% deposit to repair your roof? It is supposed to be used for the builder to buy materials and prepare things before he actually comes to site to start work. But for most smaller roofing repair or roof replacement work, this is not true…. Why don’t you pay a deposit when you eat out in a restaurant? I don’t think I have ever paid a deposit in a restaurant before the meal arrives. We usually call for the bill when the tummy is full and we are ready to leave. I don’t know how many diners walk out without paying – but there must be some. Yet, the restaurant owners continue with the custom of “get your money’s worth – then pay me”. Why I don’t charge a deposit for my roof repair and roof replacement work? …. Many years ago, I followed tradition and charged a 10% deposit on all my roofing work. Then, I decided to streamline my accounting work. Sure, it was nice to take a 10% deposit on acceptance of the quote. But I would have to bill for the 90% again…making it almost twice the amount of bookkeeping work. …Also, It would take quite a few weeks from acceptance of the quote until we were able to do the work (since we have a continuous backlog of about 6 to 8 weeks). I just did not feel right to take a client’s money and then inform them that their deposit would not make their roof repair job happen any quicker…and that I was taking their money just to make sure that they did not change their minds. Also, I have an 30 day account with my suppliers – which means that I don’t need any money to order materials and have it delivered. So, I do not need a deposit to start a roofing job. ….and I usually get full payment for the roof job before I have to pay my suppliers anyway. … Sure, the 10% deposit is good for cash flow. Good for the business but it may not be too good from the consumer’s point of view. The main thing that I like about NOT taking a deposit for my roof work is that it takes the pressure off the timing of my work. I can just concentrate on getting the current roofing job done properly – without the threat of clients demanding that I start on their project…. because I have already taken some of their money. How do roofing my clients benefit? You only need to bring out your wallet once!…………….and it is only when you are happy to do so. Why don’t more roofing companies do it? It is because it takes a bit of a maverick to do things that are counter-traditionalist. Most businesses will welcome the extra cash flow by taking a deposit. They like the idea of having the upper hand in the transaction because they have already been paid something…it makes them feel safer that the client will not change their minds. I do it simply because it works for me. And I like it….